Lamai holds the second spot after Chaweng, Samui's top tourist hotspot. One senses a more laid back and relaxed vibe in Lamai. However, this does not mean that there is a lack of natural attractions, entertainment, spa and dining options for villa travellers who are keen to head outdoors. Hin Ta and Hin Ya, located at the southern end of Lamai Beach, is a popular attraction among holidaymakers in Samui. We recommend that water sports enthusiasts head off to the nearby Ko Tao for a diving day trip. When night falls, do make time to explore the Lamai Sunday night market. Numerous stalls line up along the roads, hawking a variety of quirky goods and great eats. A stroll along the night market is an interesting experience, and offers travellers with a glimpse into the lifestyles of the locals. 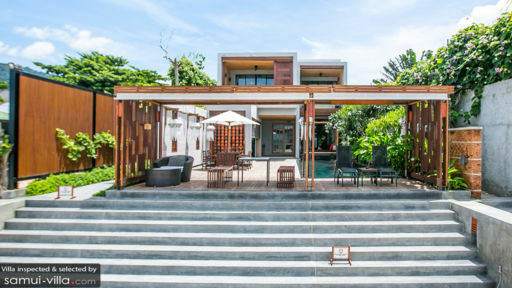 There is a growing number of beautiful villas are being built up in Lamai, so be sure to pamper yourself with a stay at one of these luxurious abodes during your vacation in Samui!